Enter to Learn. Leave to Deliver. Hear how to support youth with TBI! Let’s talk local CTE innovation and collaboration! Learn more about the TC Self-Study and how it can help your transition program. Watch a video tour of TC and NTACT online resources! 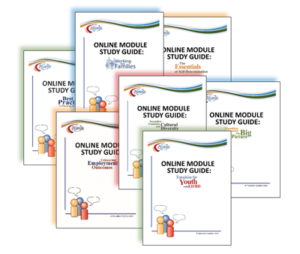 TC module study guides Use these guides as a group or individually to reinforce the concepts in our learning modules. Get more from your module! So, you're a new Transition Coordinator...Don't be overwhelmed. Helpful tips and expert advice are available. Find information & resources to develop and improve your transition program! Quality Indicators - how is your transition program doing? Put This in Your Bag! Learn and discuss with expert Janet Williams on how to support youth with TBI. More info here!